There is no such thing as a perfect business or a perfect person, or things. As human beings, we all have different personalities, circumstances and needs. So let me start this section by saying that along with the customer supportive email and letters, we also receive some letters which are less attractive, but we like to address those on a step by step personal basis with the specific customer. Having said this, however, these are some of the more prominent comments we receive, on a regular basis, about our MIA products and services and we thought some of you would like read. I appreciate all letters sent to us. Myself and Sylvia read each one of them with a good deal of thought. It is challenging to put every single letter we receive, from customers, all over the world, in a single page of testimonials, so I have selected ones that I though would be valuable to customers who may have similar products and maybe wondering about retrofitting with a specific MIA upgrade. Some of these letters, we receive, contain photos and we have also included them, to provide a different perspective than from us the manufacturer. I started to place dates to the letters, as we receive them, but some of the older ones are not dated. As always, Sylvia and I are happy to assist with any questions. 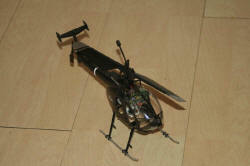 Firstly, I'd just like to say that, although I'm relatively new to RC Helicopters, I really like your style. You obviously have your finger on the pulse of what's needed and wanted, and your designs seem to be not only sturdy, practical, and stylish, they also are very cleverly and thoughtfully engineered. The reason I'm writing to you, is that I'm planning on getting a Blade 120 SR next month, and while browsing the internet looking for info and videos on it, I ran across the video you made of your "Killer Mosquito" body kit. I thought it was the coolest thing I'd ever seen, and I instantly decided that I HAD to have one. Unfortunately... it isn't on your website. Of course, I have no idea when that video was originally made, so for all I know, you had offered it for sale at some point in the past, and then discontinued it. So... is it a body style that is at all available? Is it possible to have one custom-made? Any info you can provide to me will be greatly appreciated. Thanks very much for your time... and keep up the terrific work! Unfortunately I got caught into other products and its been difficult to find the time to realize that particular product for the Blade 120SR. The other is not many people have been as supportive about that particular product, as you and a few others, but I believe it is because the video doesn't do the actual product justice. But as you have discovered, myself including, also finds that particular design interesting and reason why I made that video. 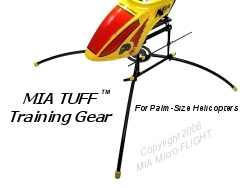 Basically the canopy has been available for some time now, via our site for the Hirobo Quark SRB helicopter, I called it the Retro look and we have sold many of those already along with the same MIA TUFF LG, I am showing on the Blade 120 SR Killer Mosquito video, also done for the SRB. So we can say it was revamped for the Blade 120SR, being that both helicopters share similar size. But I added a full fuselage look with a small twist on the rear section. You are about the 3rd person that has come to me asking for this particular design, and it is good enough for me, to pursue it into offering a kit very soon. I also have another project which people have been asking me about and that is our MIA MPG RC Ultralight Autogyro which is also on my to do's very soon. Either way these products are happening and hopefully I can swing both in this month or early May. Just wanted to let you know that having purchased your MD500E body kit for my Nine Eagles Solo Pro I am well impressed with the product. Having purchased this from a local supplier here in the UK, Sussex Model Centre (Worthing). 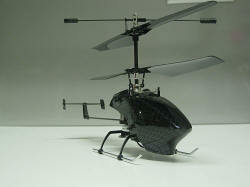 I had it installed in next to no time and the transformation taken on by this little Heli is incredible. It looks so realistic both on the ground and in flight. So thanks Guys for a great product at a reasonable price too. I have attached some photos of the Solo Pro wearing its new desighner outfit. Please keep up the good work and add me to any mailing lists you have that detail new products for the Solo Pro. Thank you the MD500 arrived on Saturday ,it took quite a bit of doing to make it fit the nine eagles solo, had to trim fuse and wind screen to give room for servo linkages and rotor blades, also I had to glue a bridge in the a frame to be able to fasten the rear of the main frame, had to sacrifice my stock LG to obtain a plug in for my stock Li-Pols, I just have to find some counter plugs for the Li-Pols you sent me so I can make a charging port and a connecting point all in all got it together it flies well. Have a look at the pictures. USPS finally got my MIA MCX and 4B3 upgrades to me today. To put it mildly, I was very happy with your products. I assembled the MCX upgrade and have been flying it this afternoon (it assembled easily, looks fantastic and is definitely more nimble). Tomorrow it's off to the hangar at work to drive the mechanics nuts. 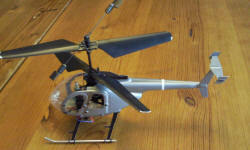 I've added all the Micro Heli metal upgrades too. Attached is a picture of the finished product. Thanks a million for working with me...even when the USPS wasn't making easy. Hi Sylvia, I received the item today. Thank you very much for your excellent service! I've always enjoyed reading about MIA-products at rcgroups.com. Now I get the chance to see one by my self. It's simply elegant and beautiful. Received the stronger Struts for the Quark today, makes a very big difference very solid now! Thanks very much for sending them!! I apologize if my email rushed you. That was not the intent. Thank you for all you have done and are doing for the hobby. I am one of the people who follows on rcgroups but does not post. I have nothing worthy to present and have been able through research to find the answers to my questions without doing so. You take a lot of time to formulate very direct and informative answers; hence my previous order and this one. 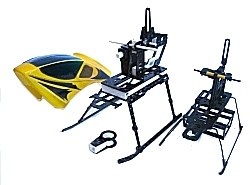 I wanted to let you know that I just bought your MIA Flybar Stability Tuning Kit Preset Deluxe, for my Walkera 4#3b. I installed it, and could not believe the difference in flight control. Before I could not keep my 4#3b in one spot with out losing control, you now have a customer for life. You have made my helicopter fun to fly, and less frustrating. 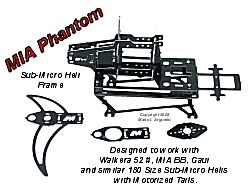 I just received the Phantom kit for the MCX. I've had the MCX about a week or so. It's been a great little heli to mess around with inside and, being that I travel a lot, it will probably get the hotel tour as well. The kit is extremely nice. I can't compliment you enough on it. The parts are top quality, the fit was great (other than just a touch of trimming around the swash plate and control rods on the canopy...all of 2 minutes worth of trimming). I'm amazed how well the little chopper flies. Much more precise control. I actually feel like i'm actually flying the thing and not just trying to dodge walls and obstacles. And the looks is amazing....it looks really mean now. Thanks for a great product at a really fair price. Please keep it up. I recently received my order of Mia parts for my 4#3B and 5G6-1. I have purchased many items previously, but this is my first order directly from you. I must say your upgrades are very innovative and have all worked as advertised. 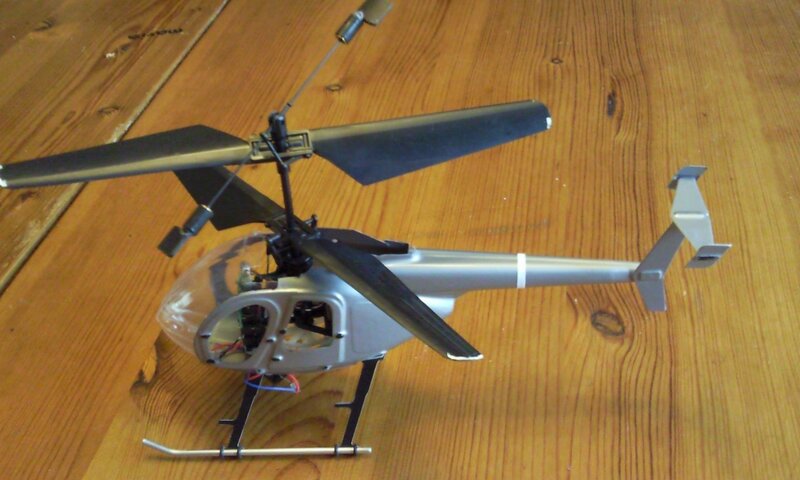 I am looking forward to the new MCX Hughes body, to try on my 5G6-1 and Walkera Lama2�s. I was surprised to receive the G10 skids in the 4#3B package, as I was expecting the tubular version. I think I will need to re-drill the mounting holes on the �C� strut, in order to maintain the angle to the G10 skid, once it is screwed to the 4#3B frame. I currently use the older tubular design on my 4#3B�s, which are fantastic and unbreakable. (I also use your red custom flybar weights and canopy) . I hope the option to purchase the original all-tubular version is still possible for the 4#3 skids ??? I will upgrade my 5G6-1�s with your new LG/sideframes tonight�.the angled �C� frames and G10 skids will look great, and should install easily, since I�m not trying to work out the angles, and will press-fit into your G-10 side-frames. Keep up the great work! My Trex 450�s and Gaui 200�s are getting dusty, as I have rediscovered indoor flying, thanks to your upgrades. Hi there, well I successfully removed the factory pieces without breaking anything and I discovered that the fiberglass part snaps in and is a very tight fit, no glue needed there at all. Which is nice in case you want to replace it later on. Little play on a phrase I just wanted to put in a little plug for Mario at MIA. I installed his flybars and a shaft collar standoff kit this evening and I gotta tell ya I dam near have a hands free hover for 15 seconds on a 4#3b. Those bars are incredible. They are about 3/4 of an inch longer and weighted. The stand off collar eliminates any slop in the swash without any binding pressure on the plate. Also that dinky little screw driver for the blade screws is worth it's weight in gold. I have a really good set of WIHA drivers made in W.Germany and Mario's screw driver is as good a quality, but better fit for those annoying little Philips blade screws. 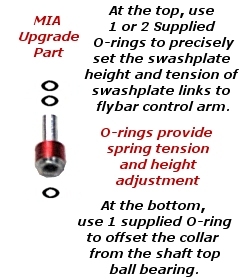 I'm ordering more performance stuff from MIA. Great Stuff!! Hi, I bought one of your upgrade kits for the Walkera 43b. First of all I would like to congratulate you for the excellent and amazing work you're doing. I wish more people were as committed and perfectionist as you are. ...the training set with the springy legs for the 4#3 is the best, and a very elegant solution. I would have saved 100's of dollars on ruined sub-minis if I had seen them earlier. I currently use the older tubular design on my 4#3B�s, which are fantastic and unbreakable. I also use your red custom flybar weights and canopy. I have to admit the job you have done with all this upgrades is fantastic. I am on a business trip and got to my hotel and read my messages. Mario was on the ball. He shipped my replacement without asking for the old one back. He even sent me the tracking number. And PM me too. Thank you the parts arrived. I am still waiting for my 4#3B to be returned to me. I assembled the frame tonight. Very nice. Worth the wait. Sorry for getting a little antsy, you just never know these days if you are going to receive things we order on the internet. I will be a return customer. Again very good work thanks.